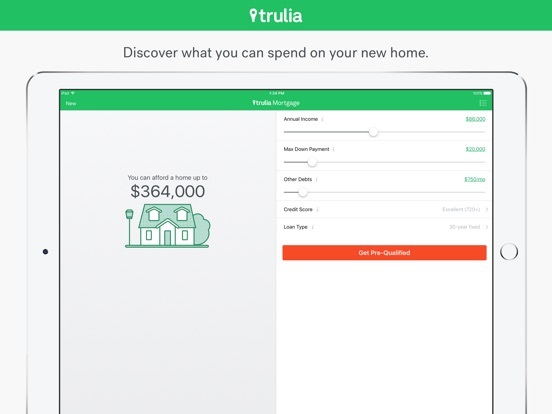 Simplify the home finance process with Mortgage by Trulia, the delightfully easy way to calculate your mortgage payments, see what you can afford, and contact a lender the instant you find the perfect home. 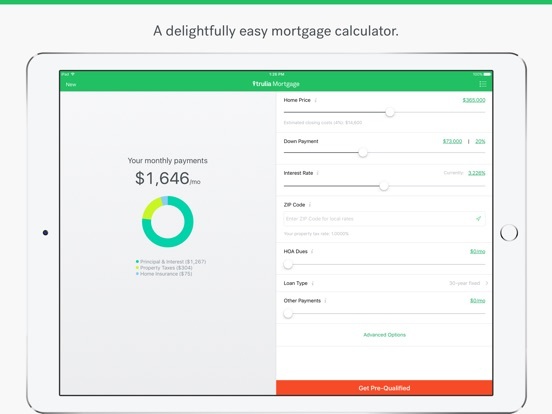 Quickly understand what it takes to finance your new home with a mortgage calculator that has interest rates personalized for you based on your location and credit score. 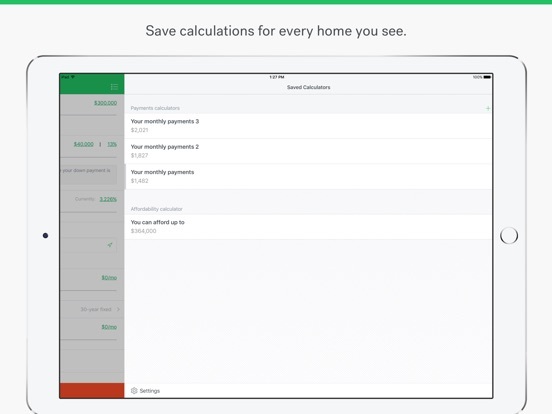 You can save multiple calculations to compare the payments for every home on your open house list. When you’re ready, start the pre-qualification process by connecting with a licensed lender near you. 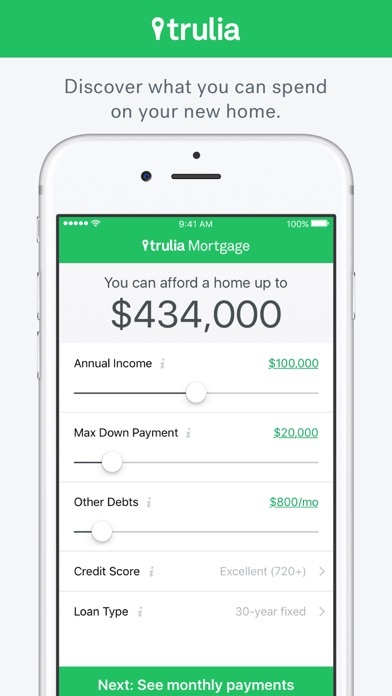 With Mortgage by Trulia, you can spend less time worrying about your mortgage and more time focusing on finding the home for you. • Mortgage calculator: Get an accurate estimate of monthly payments. • Affordability calculator: Find out the maximum you can afford to spend on a new home. • Scenario planning: Instantly see the impact of a different loan type or a bigger down payment. • Payment breakdown: An interactive pie chart shows you what makes up your mortgage payments. • Find local lenders: Quickly contact local lenders to get pre-qualified for a mortgage. • Budget planning: Add monthly debts and bills for an even more accurate estimate of homeownership. 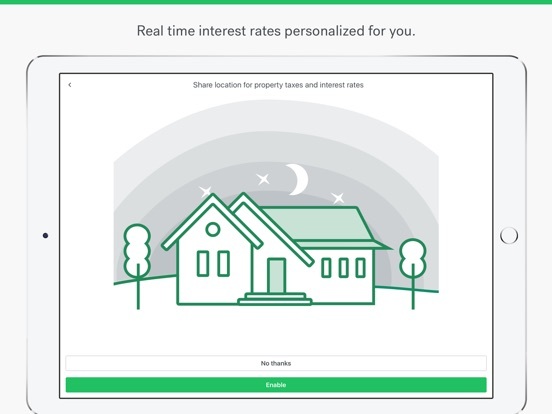 • Personalized interest rates: See up-to-date mortgage rates based on your location and credit score. • Local tax rates: We’ll automatically enter local property taxes for you. • Save multiple calculations: Save and compare calculations for all the homes on your open house list. • Informative help: Easy-to-read tips to help you become an educated home shopper. 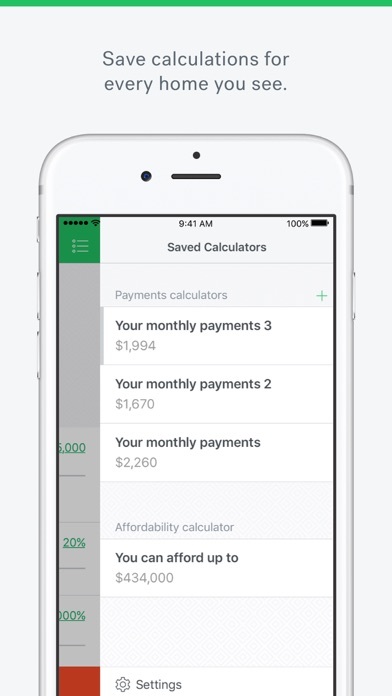 • Anytime access: See your saved calculations anytime, even when you’re offline. 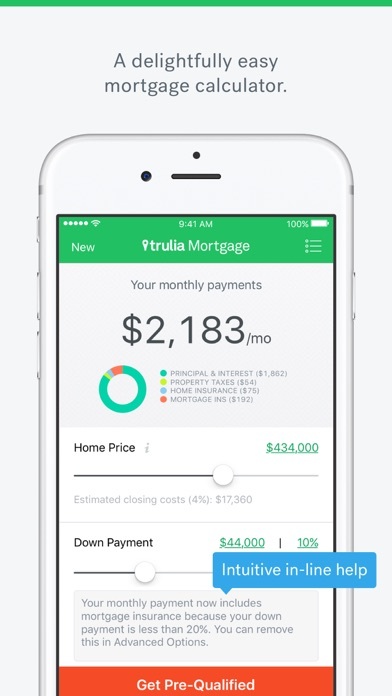 Note: Mortgage by Trulia is for properties in the USA only at this time. We’d love to hear your feedback. 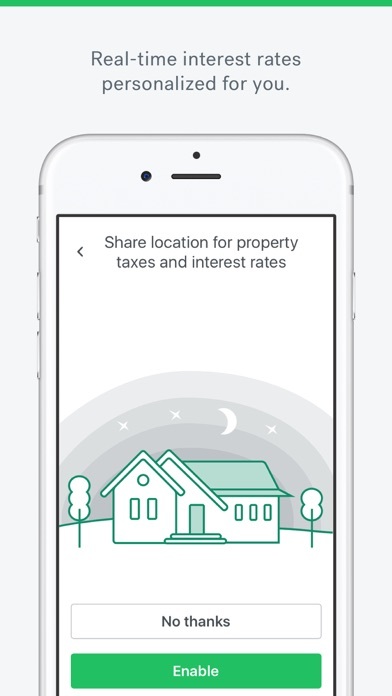 Email us anytime at iOS.Mortgage@trulia.com. We are now optimized and compatible for iOS 12!